This book will teach you how to kettlebell press and perform over 100 kettlebell press variations to change up your training or that of your clients. A must have if you train with kettlebells. “Only one who devotes himself to a cause with his whole strength and soul can be a true master. Who is this book for? This book is for anyone who wants to learn the fundamentals and the finer details of kettlebell pressing in order to progress from novice to master. It’s also for Personal Trainers who want to learn more about how to find and fix any issues that may prevent their clients from pressing or progressing. “Taco Fleur and Joe Daniels have hit the nail on the head with their book Master The Kettlebell Press. 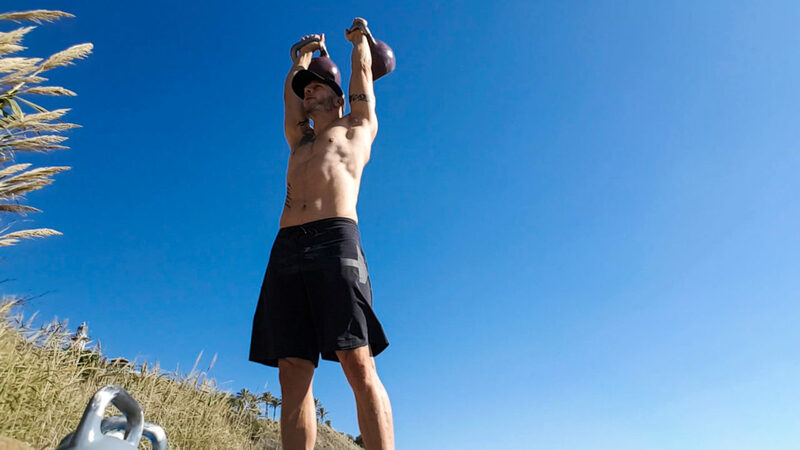 This is the ONLY guide you’ll ever need if you are into Kettlebell Training or CrossFit. The performance tips alone, whether applied to competition or fitness, are worth 10 times the cost of this book, proving itself valuable to professional trainers and the athlete alike. This book has everything on the kettlebell press, it covers techniques, common injuries and how to prevent them, some great rehab exercises, how to progress with pressing. It even includes trainer cues. The book is unconventional and out of the ordinary. If you’re a group fitness instructor and want to add many variations of the press to your workouts, this book will allow you to add over 100 press variations, this alone is worth ten times the price of the book. This is a very complete manual with tons of useful information not only for the novice lifter but the advanced as well. Very well written and informative. Wonderfull, comprehensive guide for people who have never excercised, or for professionals. Highlights for me are the sports and movement definitions, the mind muscle section, what muscles the press is working, and stretches. This book is more like an essential manual for anyone who is interested in kettlebells. It is absolutely packed with loads of useful information. The amount of detail is so helpful,even down to explaining how different grips effect the way the bell behaves. I started reading Master the Kettlebell Press with skepticism: after all, I had read books before on kettlebell press, this was not my first rodeo. All of them were written in such a manner that intimidated me, making me fearfull that I will never be able to learn the proper form and programming of this exercise. Oh, how wrong I was! My experience with this book was rich and very challenging and I will rely on it more and more. The book is filled with top-notch instructions for every step of the way, from complete beginner to absolute mastery of the Kettlebell Press. Of course, the road is not short or easy, but Taco Fleur makes it simple to follow, taking into consideration all that can preoccupy someone willing to embark on such a journey. The good news is that anyone can benefit from this book. Even though you may already master the press and all its variations, you still get a few insights that will make you better in your training and coaching. It will reinforce what you know and will teach you what you did not know. Master the Kettlebell Press contains wonderful regressions, progressions and corrections, the type of information that will make your progress visible. 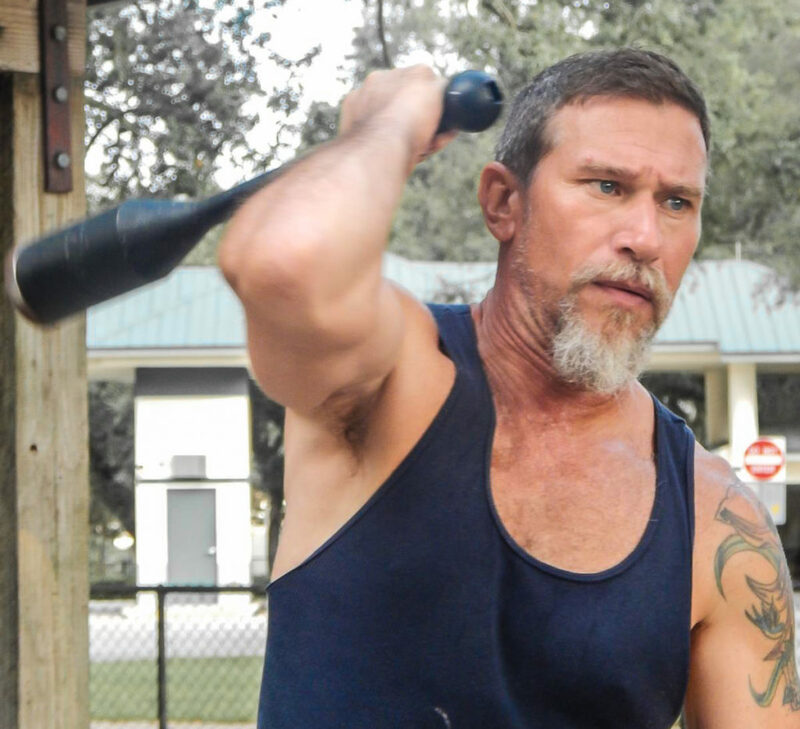 Plus, you have at your disposal very good programming; this will diminish your torment regarding the best way to integrate the Kettlebell Press into your regimen. You can even take to decision to follow the programming every step of the way. The impeccable knowledge, the unconventional wisdom, the scope of the book and the clear writing make this material on absolute must-have on this topic. Great book. I’m just stepping into kettlebells and this is an ideal book for beginners. It teaches great techniques to help someone who wants a more efficient workout, which I feel will do nothing but improve my performance. I find it a great resource to other books I’ve purchased so that I know exactly what I should be doing in the workouts I have that include any press variations.